welcome back, everyone. We've made it to part 3 of my series of serendipitous music reviews, and the end is in sight. After making it this far, I still have yet to be satisfied with my ability to write on music. I'm starting to think I'm pretty clumsy at it, and that I lack the necessary vocabulary and experience for doing something like this. The best results actually seem to come when I veer off and just start talking about other stuff. I'm not quitting until this is done, though, so ... here's the newest entry. Don't worry, we only have one more to go after this. Today's trainwreck of an article is on 2010's White Light by Groove Armada. Pandora has been my new music crutch for about 7 years now, and I first got into Groove Armada through their song 1980 when it popped up on one of my stations. I bought it quickly after, and my Amazon purchase history says I bought it in October 2011. So let's get you into the frame of mind that I was in at the time, a whole 2 years ago. 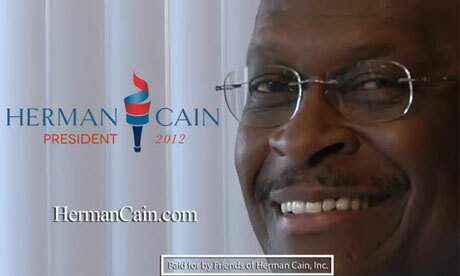 Real Steel was the biggest opening movie for some reason, and Herman Cain was ahead in the race to lose in 2012. Yes, really. Until he found his true calling, straight-facing ridiculous questions on Comedy Central. I wonder if Godfather's Pizza is any good. I've never seen one. I had been out of college for about 5 months, was still working retail like an English major do, and was feeling pretty stale. 1980 was already on my MP3 player for years by the time I finally got the album. I really really needed new music at the time, and 1980 was one of the "fresher" jumpoff points in my collection that I thought I could use for reaching out and finding something new. So I bought White Light, because it was either that, or something by CSS if I was going to keep using my system of singles. I like starting these reviews with the same point of entry I had, so I'm embedding 1980 first, even though it's track 8. When you hit play, it starts immediately with no buildup; check that volume first. Heavy, bodied synth. This is one of the things that I would come to love about almost every track from them. They really, really, know their way around a synthesizer. They'll feature guitar, bass and other conventional instruments intermittently, but for the most part it's keys, vocals and drums. True to it's name, 1980 evokes the decade of horrible fashion sense, Andy McCarthy, and New Coke. It's synth hook is a quick repetition of one or two high-pitch notes (there's a bit of a slide action going on). Despite the tune's simplicity, it's uncannily tacky and glam in an 80s way. It's also vaguely, sadly romantic throughout. I don't know if it's supposed to be sad but it definitely sounds that way to me. Based on the tone and lyrics, I would say it may actually be a look at how nostalgia can be deceptively rosy, and we can live in a strange dependence on it sometimes. Your guess is as good as mine, but it definitely tugs at you in spite of all the glitz. It's bittersweet and I love it. After the using first song I heard as an introduction, I usually like to do to track 1, regardless of whether it's a standout favorite, standout suckfest, or anything else worth mentioning. The first track on this album is called Warsaw. Let's have a listen. I could easily imagine most people jumping around and pumping fists to it. I'm not hearing anything uniquely evocative emotionally, but (a) my senses just might not be picking it up and (b) not every song needs to do that anyway. Amiright? There's definitely a place for honest-to-goodness thump music, and I think it's fantastically put together in this instance. If you like your music to get you pumped, but aren't much of a metalhead, then this is for you. It has a slow but eventful escalation from its minimalistic beginning, and erupts naturally into a bouncing house of drums and techno. Yes it's club music, but it's not garden variety. It works equally as well in the car as it would in a club, or with headphones at your PC. It knows how to bounce, it knows how to avoid tedium, it knows how to take breathers, and you can still tap your foot to it. There's a very big tendency for music in the dance-pop genre to sound "samey", and while this album definitely fits well somewhere into that pre-established dance-pop category, it manages to keep its own identity and offer something fresh. That's pretty hard to come by. I was going to do track 4, Not Forgotten, as my next standout favorite, but it looks like YouTube actually doesn't have it, which is amazing. I can find any Siam Shade track I ever want on YouTube, and their stuff isn't even released in America. I wish I had a way to give you a listen, I don't like the idea of giving you link homework, and all other options (like MySpace) were dead ends. So let's just try my next favorite track, Paper Romance. This is the band's version of the song from a different album, Black Light, which differs a little bit from the album I have. It's different in the arrangement and maybe a few of the effects. But that's fine. What stands out to me most is how many criss-crossing eletronic pitches go on in this song. It's more noticeably active than in other tracks, approaching a sound that is more akin to MGMT or The Naked and Famous. It doesn't just occupy the higher end that I think most of us are used to, or think of when we hear the words keyboards and synthesizer. It occupies the lower-mid range, in the heavier, rhythmic section, and they don't seem to be using any instruments for bass otherwise. Groove Armada does this on practically every song, so I don't know why I've chosen this song to notice it, but I think it's indicative of something pretty cool: The advantages digitized music can offer. Guy Sigsworth (probably best known for working on Frou Frou with Imogen Heap) once said that electronic music gets a bad rap when compared to instruments like acoustic guitars, which are often accepted as inherently artistic and poetic. I wish I could find the exact quote, but he eloquently made the point that one instrument is not better than the other; every instrument has something to offer. I mean, look at Mumford and Sons; they use a banjo in every song. Digitized music, on the other hand, allows us to "dial in" any sound we want. I know I probably shouldn't be realizing that this late in the game, but it's kind of exciting. Is Paper Romance anything all that special because of it? Eh. I'm no electronica connoisseur, but I do know that a lot of the music in that genre can wind up using the same samples (untz untz untz). For Paper Romance, they seem to have at least used the tools right to fashion something exciting and new. We're actually at the end of the album, as there's only 9 tracks, and I've already skipped a few and backtracked. Since we're otherwise out of ammo, here is the last song, History (Love Mix). It's a pretty big change of pace from the rest of the album. Laid back, smooth, and guh-roovy. I like it. At first listen I thought the backup vocals were done by a female, but after listening to it more (including the non-Love Mix version, which is also on this album at track 3), I'm pretty sure they're all done by the same, male, vocalist. It's ethereal, if that's the word. My sister once called me out on liking songs that are vaporous and "floatey", and I think this fits that bill pretty well. Guilty as charged I guess. After the loud, bombastic and blaring dance songs that precede it, it's a track that brings you "back to normal" so that you can go about your day. Good finish, guys. This is well put-together, satisfying album, engineered up the wazoo. But that's it, really. It doesn't hold that much of a special place to me, but it's a great place holder between my other favorites. A healthy musical diet doesn't just consist of listening to your top 10 on repeat, and these guys know how to give you something fresh while you break. Recommended. It has a sister album called Black Light, which contains alternate versions of these songs. Actually, White Light came out 2nd, so I guess these are the alternates.